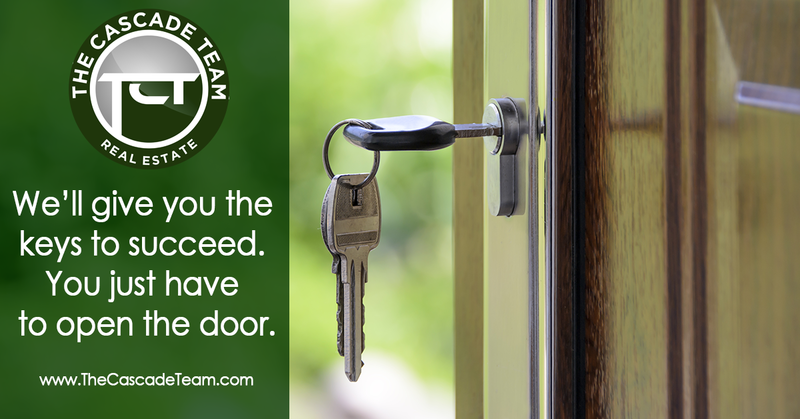 We want to help you become the best agent you can be! Every month The Cascade Team provides professional training in our state-of-the-art agent support center and via webinar. Certified clock-hour instructors provide you FREE clock hour classes on topics ranging from: purchase forms and addendums, title reports, escrow, creating and maintaining high performance client relationships and more. We also offer Engaged Marketing classes, designed to help take you to the next level! This is the class that will show you step-by-step exactly how one ex-Re/Max agent came to The Cascade Team Real Estate doing 5 deals a year and how he has done 100+ transactions a year for 3 straight years. How a Windermere agent went from 6 transactions to over 120, and how rookie agents with no experience do, 30 to 50 transactions their first year and make $300,000 to $400,000! From selecting your marketing “Farm” area, to connecting with other local vendors and businesses, creating and distributing custom marketing materials to get noticed, delivering the listing presentation, holding open houses, social media marketing, and creating full community engagement…. Our engaged marketing class is your guide to complete real estate success and is unmatched in its completeness, simplicity, and effectiveness. 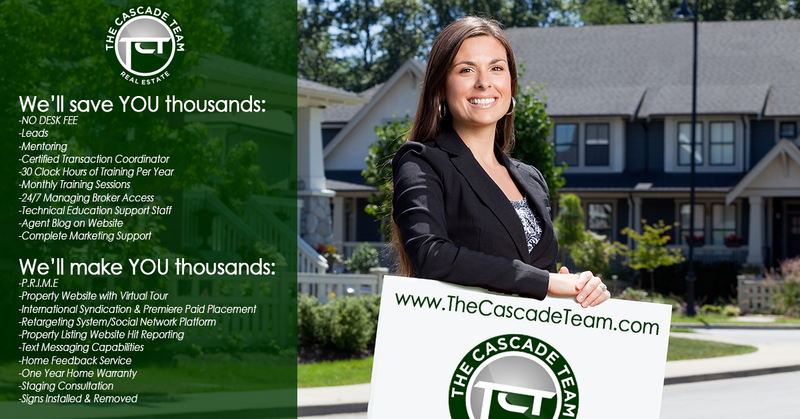 Contact Janet Jolly-Porter: janet@TheCascadeTeam.com or 425-830-6743 to set up your appointment to learn more. While most brokerages will try to sell you what you need to succeed, we believe in providing our agents with these tools. We offer leads, mentoring, certified transaction coordinators, monthly training sessions, 24/7 Managing Broker access, complete marketing support and much more! Here is your chance to be part of an innovative Real Estate Brokerage that's changing how things are done! Whether you’re an experienced agent or brand new, we will give you everything you need to take things to the next level and reach your potential! Place listings on the MLS and The Cascade Team website. Build your listings Personal Property Website. Place the listing on all the additional advertising websites. Coordinate with Escrow and mortgage. Serve as a second contact for your client Buying or Selling. Additionally, our full time director of marketing will help you build your own personal real estate brand and tie it in effectively with company marketing for maximum impact and success. IT Support will you with e-mail, personal websites, building social media pages and more. Our staging team is there to work with homeowners before listing and help get them ready for being active. 24/7 Broker access. If you have a question, want a second opinion, or need any assistance whatsoever, we’re here for you! Setting our Agents above the rest! In the end, the results speak for themselves. Here is what has happened for a few of the members of The Cascade Team since coming over! Shannon Woodcock went from 6 transaction at Windermere to becoming the #1 Ranked Broker by transactions for Woodinville! Leanna Young from 5 transactions at JLS to 38 with TCT the next year and then to 57 the year after that. Tonya Eliason was a new agents when she joined The Cascade Team! Now she is one of the top brokers in the Snoqualmie Valley! We will show you step-by-step how to make results like these your own! 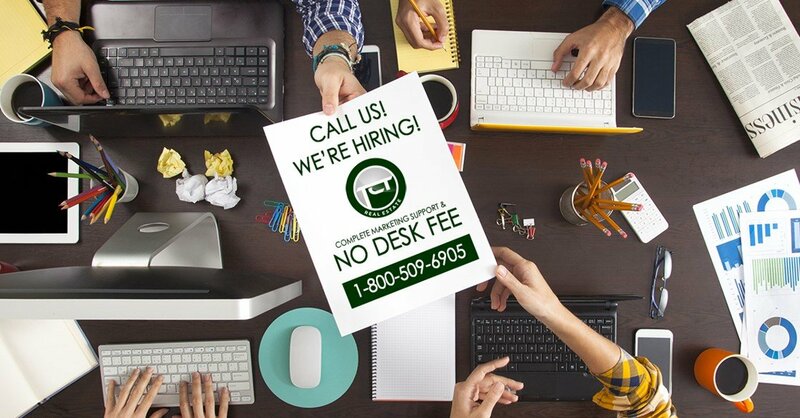 The Cascade Team has offices in 7 States. Arizona, Southern California, Colorado, Oregon and 13 offices in Washington including Seattle, Issaquah, Woodinville, Tacoma, Spokane, Sammamish, North Bend, Vancouver and more!